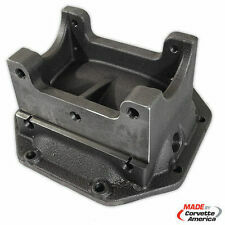 1963 - 1977 Corvette Rear End/Differential Cover, Heavy Duty, NEW! Bushings are original with parts numbers and are in very good condition. 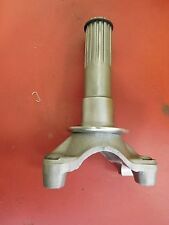 For sale is one used positraction differential. This is a used differential that is considered a CORE which may or may not need to be rebuilt. This diff should be looked at by a TRUSTED professional. For sale is one used ring and pinion gear set. Pinion P/N: NONE. Pinion Date: NONE. The pinion gear does not have any part number stampings on it. The mount holes on the ring gear appear to be in good condition. 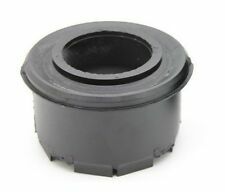 "Yukon Gear & Axle Differential Locker --. 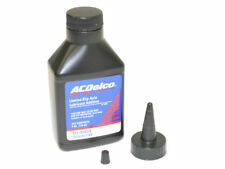 Locker is conveniently rebuildable which saves you money ". YUKON GEAR DURA GRIP LIMITED SLIP DIFFERENTIAL LOCKERS. Series : Yukon Gear Dura Grip Limited Slip. Richmond Gear 8310241 Differential Ring and Pinion. COMPLETE KIT. They didn't want just a website with parts, but they wanted to have passionate people like them who knew the cars inside and out working with them. These kits are great for low-mileage vehicles that will allow you to re-use the carrier bearings and races and are backed by a one year warranty against manufacturer defects. 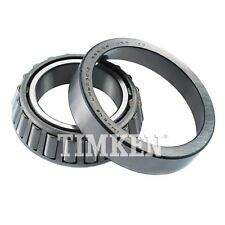 "Yukon Gear & Axle Pinion Bearing --. Donor: 1975 Chevy Corvette. Exterior Color: Classic White (10). "Yukon Gear & Axle Yoke --. YUKON GEAR & AXLE – YOKES. Notes Strap Style, Location : Rear. Location : Rear. Condition : New. Therefore all implied warranties that may apply to your part are limited to the duration of this written warranty. For sale is one used ring and pinion gear set. Pinion P/N: 3885942. Pinion Date: NO DATE. The pinion bearing is still installed, it will need to be replaced. There are no cracked or chipped teeth on either gear that we could find. For sale is one used ring and pinion gear set. Pinion P/N 3885941. Pinion Date: 7/70. The bearing is still attached to the pinion gear, it will need to be replaced. The mount holes on the ring gear appear to be in good condition. For sale is one used differential cover. Used and NOS parts are sold as is. WU=>024/PX=>028. 3.55 RATIO RING & PINION. Whether you are a novice or a pro, you will need a good and easy to use bearing puller for the job, and we got them! There is no mounting hardware included. Used and NOS parts are sold as is. WU=>024/PX=>024. 1963-1977 CORVETTE ORIGINAL REAR DIFFERENTIAL AXLE COVER NICE SHAPE ,NO WELDS & NO BROKEN PIECES THIS IS FOR A 2 1/4" REAR SPRING WIDTH. ATLANTIC CORVETTE. Whether you are a novice or a pro, you will need a good and easy to use bearing puller for the job, and we got them! Up for sale is lot 3 of used original 1963-1982 Corvette Trailing Arm Shock Mounts. There are two of left hand part number 3820929 for the and one of right hand part number 3820930. The "extra" 3820929 is shown at the top of first pict ure.